The Thomastik Dominant 135 1/2 Violin String Set has a versatile sound with multiple materials that provides a warm, clear tone. Thomastik's Dominant range is resistant to change from humidity which provides durability and reliability, as well as having the tone of real gut. Half size violins are renowned for their bright tone and distinctive high end, and the Dominant strings complement this tone, as well as pushing forward great overtones. The classic tone has made the Dominant series a standard in synthetic strings. The E string has a steel core for sustain and increased volume. 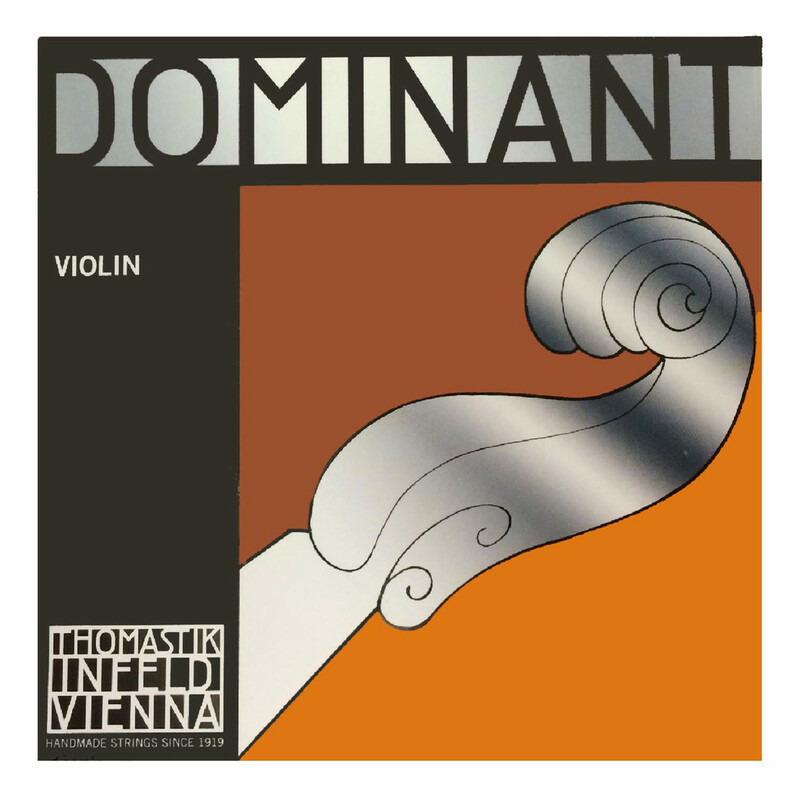 For versatile strings with strong overtones and mellow sound, the Thomastik Dominant 135 1/2 set is an ideal choice for live, studio and casual violists. Included in this set are the following strings; 130,131,132,133.